Housed in a dramatic landmark in the centre of Hiroshima, the Regus Hiroshima Ekimae is just a four-minute walk from Hiroshima station and within easy reach of the Enko River, which enjoys spectacular cherry blossoms in the first two weeks of April. Inside, turn-of-the-century interiors are paired with cutting-edge technology, alongside sleek conference rooms and spacious breakout areas. Nearby are a range of hotels from the Sheraton Grand Hotel Hiroshima to the APA Hotel Hiroshima Ekimae Ohashi, plus a range of restaurants including Hassei, known for its local delicacy okonomiyaki and Miyabi Tei for melt-in-the-mouth wagyu beef. For a culture and history fix between meetings, head to the nearby Hiroshima Prefectural Art Museum or the Hiroshima Peace Memorial Museum. 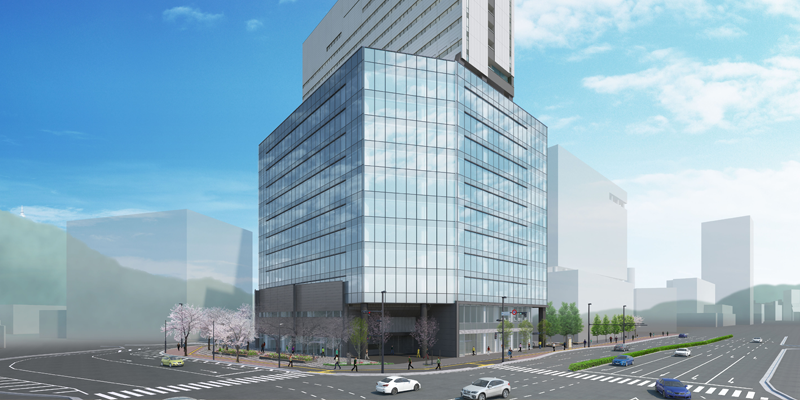 This is the fourth Regus property to open in Hiroshima. Located on the edge of central Athens, the Regus Athens Kifissias Junction is the sixth Regus office to open in the Greek capital, housed in a sleek glass-encased tower, designed using clean lines and fitted with modern amenities throughout. Across the offices’ four floors, employees can take advantage of collaborative break-out areas and stylish boardrooms suitable for all types of meeting, from corporate events to one-on-one interviews. Within easy reach is Ambelokipi metro station, allowing for easy transfer to the rest of the Greek capital, while cultural landmarks such as the Eleftherios Venizelos Museum and the Athens War Museum are a short distance away, if you’re after a dose of history. At Regus Bremen Citygate you’ll be in the centre of one of Germany’s most significant port cities and a major European industrial hub. A minute’s walk from Bremen Central Station, the office is the fourth Regus property to open in the city, offering a state-of-the-art business centre with high-speed Wi-Fi, voicemail services and 24-hour access, while nearby attractions include a McFit gym, the Metropol Theater Bremen, and a fantastic selection of bars and restaurants such as the high-end Red Rock and sleek Italian diner Vapiano. Alongside the business centre, employees can access meeting rooms, co-working space and on-site parking, and if you’re after a breath of fresh air come lunch time, the expansive 202-hectare Bürgerpark is just a short walk away. In the beating heart of the City of Music, the Regus Vienna Turm 88 is part of a trio of versatile developments in the commercial neighbourhood of Wieden, offering excellent connectivity to the rest of Vienna from Wien Hauptbahnhof train station and its adjoining metro station. Within the business centre – which joins another 18 Regus properties in the Austrian capital – there is a modern and spacious open-plan workspace with meeting rooms, private offices and co-working areas, all temperature-controlled and flooded with natural light. Kitchenettes are also available should you wish to prepare your own food, but a spread of great value restaurants are just outside, including local restaurateurs Kaiser and Das Columbus, plus international hotels Hotel Motel One and Ibis. Situated in one of the Japanese capital’s premier shopping districts, you’ll never feel out of the loop at the Regus Ikebukuro, housed in a dramatic steel and glass tower shared by Ikebukuro station, the world’s third busiest train station which processes nearly 3m people every day. Just a 15-minute train journey from business and commerce areas Shinjuku and Shibuya, the serviced offices make up Regus’ 60th property in Tokyo offering spacious and elegant meeting spaces with high speed Wi-Fi and modern conference facilities, providing an air of calm in the bustling hub of Tokyo. Hungry for lunch? The centre is just a five-minute walk from Mutekiya Ramen, an award-winning noodle restaurant, alongside high-end shops Hermes, Bottega Veneta and Swarovski. 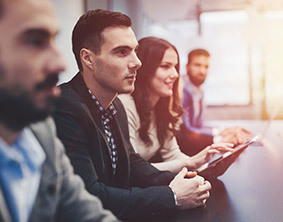 In Bilbao’s buzzing Deusto district and home to one of Spain’s most illustrious universities, Regus Bilbao Deusto enjoys well-appointed meeting rooms and communal areas made for mingling with the city’s best professional talent. Staff are on hand to help with any request, and if you have appointments around town, the nearest metro Deustuko Unibertsitatea is just 300 metres away. Outside, the area is packed with trendy restaurants from Deustoarrak – great for breakfast meetings – to casual Peruvian restaurant Rocoto, alongside hotels like NH Collection Villa de Bilbao and Mélia. Break from work and wander the corridors at the nearby Guggenheim Museum or enjoy riverside views on the tranquil Evaristo Churruca Pier. 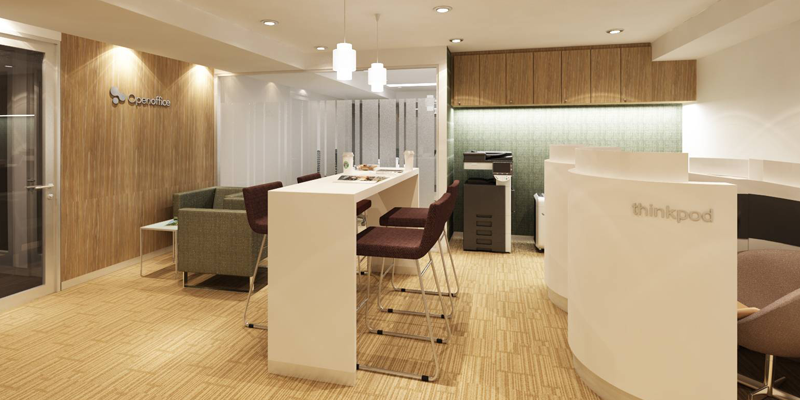 This is the second Regus property to open in Bilbao. 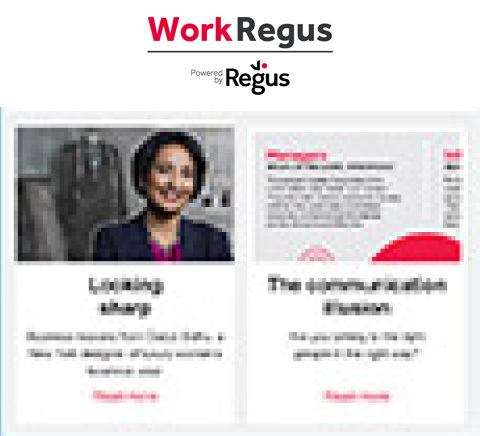 The Regus Surabaya Pakuwon Centre is situated in Surabaya’s central business district on the Indonesian island of Java, and the second Regus office to open in the city. The port city is the country’s second largest metropolis and the most important trading hub in East Java, with business booming in rice, milk, rubber and tobacco. The new office space is within reach of a host of international hotels including the Sheraton and the JW Marriot, plus nearby attractions such as a cinema, karaoke and dazzling nightlife. If you’ve got a few hours to spare head to Surabaya Zoo, an institution established in 1918, before getting in some retail therapy just a few minutes’ walk away in Surabaya Town Square. 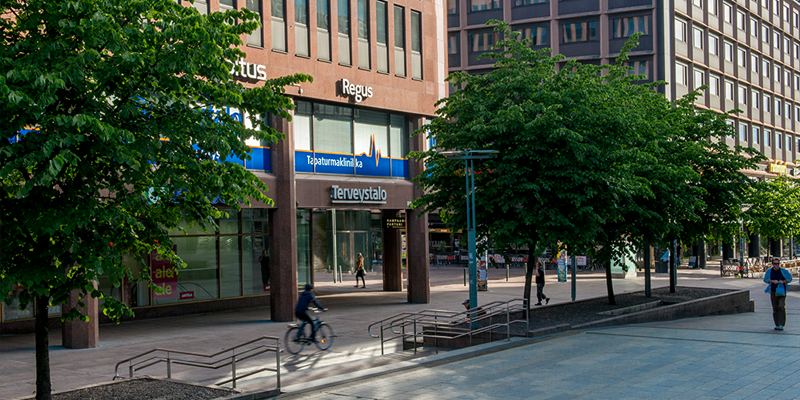 Set within a buzzing shopping district in the Finnish capital, the Regus Helsinki Graniittitalo is the city’s 24th Regus office and is kitted out with a suite of flexible workspaces and enjoyed by businesses ranging from multinationals to start-ups. Hotels within reach include the Radisson Blu Royal Hotel Helsinki and the Holiday Inn Helsinki City Centre, and if your schedule allows, take some time to visit the nearby Finnish Natural History Museum and Helsinki Art Museum, which includes more than 9,000 arworks, much of which focuses on Nordic and northern European artistic landscape. Ideally positioned for cross-town meetings, the offices are close to Kamppi light rail station, from which you can catch a train right through the city centre. Primely located on the well-known thoroughfare of Viale Certosa, Regus Milan Certosa joins a network of over 30 Regus offices in the fashion capital. The new centre is housed inside a classic Italian palazzo in the well-connected commercial district of Garegnano, home to the Radisson Blu Hotel Milan and DoubleTree by Hilton Hotel Milan, as well as the Piazza Portello shopping centre, boasting high-street brands like H&M and Zara and casual local diners such as Risto and Latteria Maffucci. If you’re after a lunchtime work-out, there’s a Virgin Active a short distance away, or the gardens at Parco Monte Stella offers a wonderful respite to the urban sprawl.